1. Seasoned scuba divers love the clear waters around Barren Island and Narcondam Island. 2. India’s only active volcano is also on the picturesque Barren Island. And the best views can be had from the Pawan Hans Cessna flight that flies daily from Port Blair. The flights don’t operate during monsoon. 4. Snorkelling, diving, canoeing… You name it and the beautiful Mahatma Gandhi Marine National Park in Wandoor, 30 km from Port Blair, offers it. The park is also known for its birding sites. At last count, more than 100 species were spotted here. None of these activities, however, can be done during the monsoon. 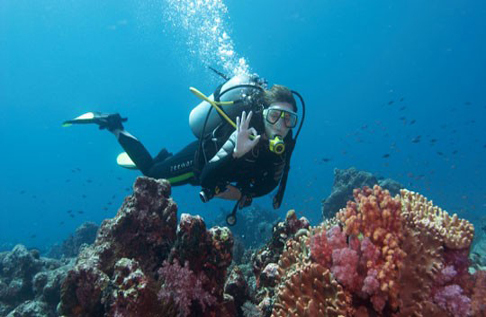 Yahoo Travel Blog recommends Andamans as one of the best diving spot in India and we at Ghummo Andaman delivers our guest with a tailor made best to suite diving program.